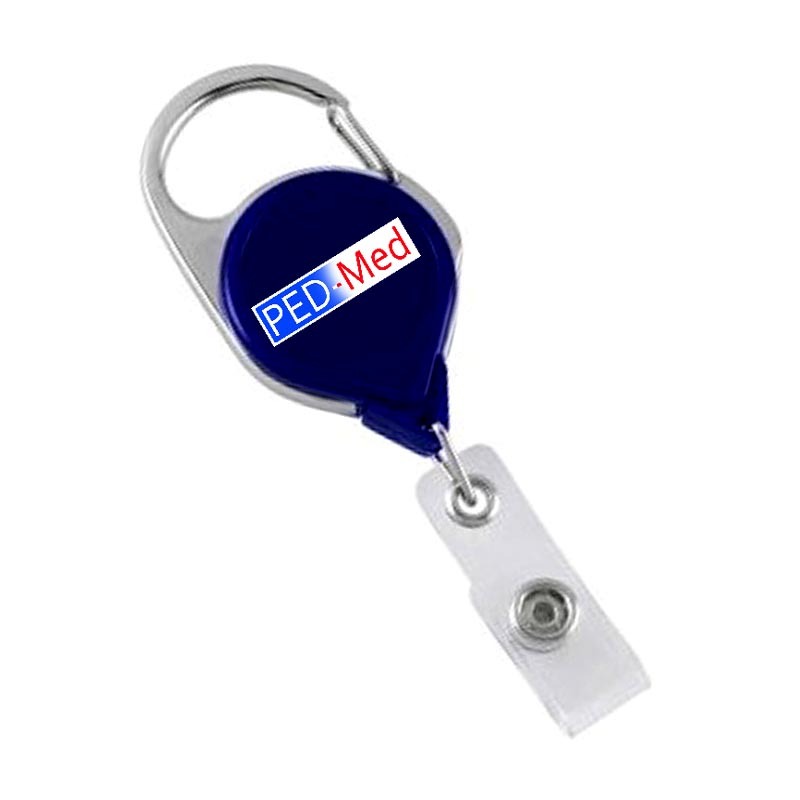 The Royal Blue Carabiner Badge Reel w/Pressure Release Latch & Twist Free Vinyl Strap. 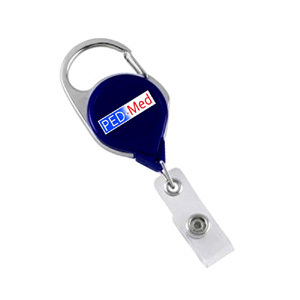 It was designed for the display and retraction of identification cards on outer garments. The item is available in royal blue.